Welcome to the website for Hill & Regan Parker, your #1 source for finding Lexington horse farms and Kentucky horse farms. We cater to horse people all across the state and focus on farms for sale in the Central Kentucky region. Hill & Regan Parker are horse people first and real estate agents second. They strive to offer expert service in a no pressure atmosphere, allowing buyers and sellers to meet their goals organically. With over 18 years of experience in Kentucky horse farm real estate, the Hill and Regan Parker team can help you find the best farms for your needs. When looking for your next farm, you want to work with a real estate team that understands your needs. Hill Parker is an award-winning, licensed horse trainer in 11 states and a Graduate A Pony Club volunteer, giving him the experience necessary to understand the special concerns of people looking for horse farms. From amenities and acreage to zoning and financial considerations, the Hill & Regan Parker team will look out for you and your needs. Do you want people helping you who understand the horse business? Do you want an exceptional level of customer service, honesty and results? When you are ready to sell your farm, do you want assistance from people who understand farms? If you answered "yes" to any of the above questions, we invite you to contact us today and see the result of "Real Horse People Helping Real Horse People." 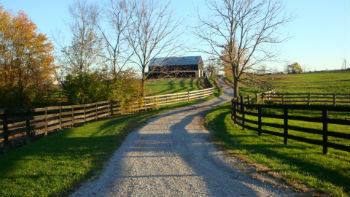 We're confident that we can help you find the right horse farm in Lexington or any other destination in Central Kentucky. 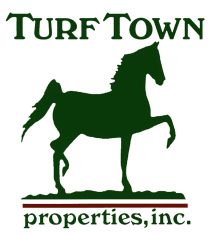 We suggest you start your search for the perfect horse farm with one of the fantastic communities below. 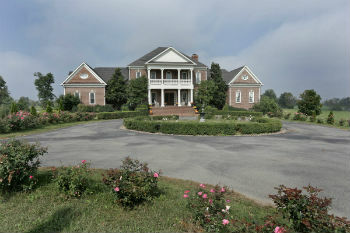 Alternatively, you can browse Kentucky horse farms with our advanced search to find exactly what you're looking for. Hill & Regan Parker love to help horse people find their perfect farm. Whether you're looking for premium land that you can convert or a pre-built farm with existing horse barns and stalls, we can ensure your needs are met. From pole barns to horse farms, we've got your interests in mind. Register with our site for free access to a number of premium features, allowing you to save your favorite listings, request showings and view additional information about each farm. You can even set up email alerts to receive new property listings directly by email! When looking for your own farm here in Kentucky you need to keep a few basic principals in mind. The improvements on a property ie, the house, barn and fencing will tend to deteriorate while the land beneath appreciates. Try to imagine the land with nothing on it. If you still love it then this may be the farm for you. The three things that give the land itself value are the lay (or topography), the soil quality, and the location. Here in central Kentucky, the further from Lexington you drive, the cheaper land can be purchased. This is because the topography tends to become steeper and the soil poorer. Lexington and the counties surrounding Lexington: Scott, Bourbon and Woodford as examples, have excellent, horse-suitable land. That said, the needs of different horses vary wildly. 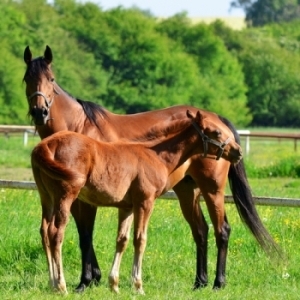 Thoroughbred babies tend to be accident-prone and need level or gently rolling land. Hunter/Jumper types need small paddocks on near level ground. Ponies and pleasure horses often get along fine on steeper land. The lifestyle of your horses also needs to be taken into consideration. Some horses are essentially kept outdoors and a well designed run in shed may be sufficient for their comfort. Others are mostly indoor horses and require less land per head as a consequence. The type of horses that you have, or intend to acquire are key to any decision making. Proximity to facilities that will be of use to you is also important. In this area this may include equine hospitals, interstate access, Keeneland racetrack, Thoroughbred Training Center or Kentucky Horse Park along with shopping and schools. 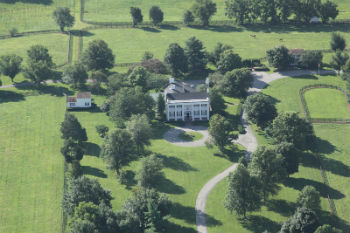 There's a lot to consider when finding your dream horse farm in Central Kentucky. We can help you put the pieces together and find the right Bluegrass horse farm for you!